I love Greece. My first Greek holiday was to Rhodes about 14 years ago and I fell in love with the people, the food, the culture - everything about it. Since then, we've tried to go back twice a year and have visited different islands. There is something magical about the place and the people. 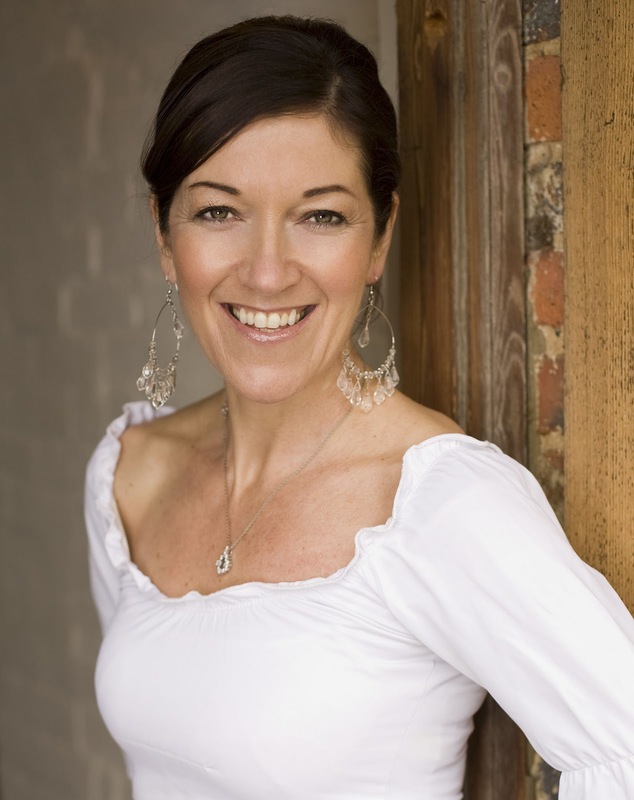 I read Victoria Hislop's first novel; The Island back in 2006 and loved it so much. I was lucky enough to visit Spinalonga (the leper island where the novel is set) a couple of years later and found it a really emotional and moving experience. I was very excited when I found out that her third novel; The Thread was a return to the Greek setting. I read it over the weekend and have been entranced once again by her writing and her ability to paint such a vivid picture and to create such realistic characters. The Thread is set in Greece's second city Thessaloniki with a prologue set in the present day. A young Anglo-Greek hears for the first time the story of his Grandparents and this story starts in 1917. A fire rages out of control and most of the citizens are left homeless. A baby boy is born that night and The Thread follows the story of that child - Dimitri Komninos. As a small boy Dimitri plays on the street with Katerina who is a refugee from Asia Minor, she fled when the Turks invaded her homeland. This is a story of long-lasting, enduring love. It is also the story of a nation and particularly a city. Following the turbulent events of the twentieth century. Fires, wars, invastions, dictatorship and earthquakes this country and it's people went through so much. There are heartbreaking scenes within the story - the brutality and violence that happened during the German occupation - the fierce civil war and fighting between the Government and the rebel communists. 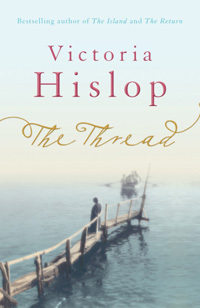 At times this is a complex read and The Thread is an apt title - not only because of the links to the textile industry but also the clever way that Hislop has linked her characters, regardless of their race or status within the city. Ultimately a love story, this is also a story of survival and of bravery, of passion and at times of brutality and such great sadness. As in her previous novels, the modern day prologue and epilogue tie up the historical story. It's a neat way of letting the reader know how history influenced the present for the characters. I was bewitched from page one, and The Thread is most certainly going to be one of my Top Five reads of 2011. I remember so well the first time that I read a book by Jojo Moyes, it was back in 2006 and I was on holiday in Kefalonia. The book was The Peacock Emporium and I could hardly peel myself away from it, since then I've read everything that she has written. One of the things that I love about her writing is that you never quite know what to expect, her books are all so very different, she certainly doesn't have a set formula to write to. I was delighted to receive an advance copy of her latest novel, Me Before You which will be published by Michael Joseph in January 2012. Me Before You is a love story, but a painful story. We meet Lou, an ordinary 26 year old, from an ordinary town who has just lost her job. We meet Will - handsome, rich, successful, popular and confined to a wheelchair. Will is frustrated and angry with life and has decided that he is not prepared to live like this, his wish is to go to Dignitas in Switzerland to end his life. Lou is determined that she will make him see that his life can be worth living and plans a series of adventures for him. Although the subject matter may seem off putting and depressing, this really is an uplifting story. Jojo Moyes has created two wonderfully lifelike characters surrounded by a fabulous supporting cast that despite the seriousness of the main theme deliver some really funny moments. The subject of assisted suicide will be debated for a long time, with eveyone having their own opinion. 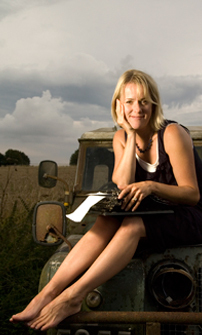 Jojo Moyes has very cleverly got inside the head of someone who has made his choice, who is aware of what that choice will do to those who love him, but is determined. Falling in love can be the most beautiful thing in the world, but it can also be the most painful. This story tells of the complexities of love, the complications of making huge decisions and also that it's wrong to judge people's decisions without taking into account those complications. For me, this is Jojo Moyes' best novel to date. It's genuinely moving and captivated me from beginning to end. 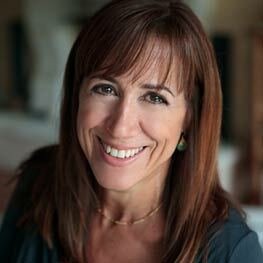 Ellen Sussman is an American author who lives in San Francisco. French Lessons will be published in the UK by Constable Robinson on 3 November 2011 and is her second novel. The story takes place over a single day in Paris and revolves around six people. The prologue introduces the reader to three French tutors; Nico, Philippe and Chantal. The tutors are three very different people who are linked by not just their jobs, but through their mixed-up personal lives too. The story is then split into three separate sections. In the first, the reader follows Nico and his pupil Josie, we then accompany Philippe and Riley and finally Chantal and Jeremy. The three couples wander the streets of Paris, exploring the beautiful city and finding out little pieces of each other's lives as they walk. There is a certain air of detachment about both the story and the characters as a whole which is understandable as the whole book takes place during just one day. This is not a criticism, it only adds to the mystery of the characters and their feelings and behaviours. One would expect a story set in Paris to be a story of romance and whilst there is certainly an abundance of fairly explicit sexual activity, this is not really a romantic read. It is a story about loneliness and loss, of expectations and hopes and is most definitely character driven rather than a fast, action filled plot. The three stories are very cleverly woven together, and although the character's inner most thoughts and ideas are exposed, there still remains a mystery about all of them. The city of Paris takes centre stage in this novel, the streets, the cafes, the museums and the people are wonderfully described and brought to life. Many thanks, as always to Emily from Constable Robinson for sending a copy of French Lessons to me. There were certainly some very random things pop through the letterbox this week. My first parcel contained a little bottle of Baileys Irish Cream - their new Biscotti flavour. I do like a drop of Baileys, especially in coffee, so I'm going to save this one and have it in a lovingly prepared by my husband latte later. And then there was the next parcel - the complete opposite! A sample of a fruit smoothie from Ella's Kitchen - designed for babies! Now, I don't have any babies, no children at all, so I'm not sure how their direct marketing works - but hey, it's a free orange smoothie - I'll drink it! Cooking For Claudine is published by Short Books. John Baxter is a writer and film-maker. A native Australian, he has also lived in the USA and the UK. Cooking a meal for your new in-laws is probably one of the most nerve-wracking events imaginable, but when those in-laws are French, and Parisians at that, then it becomes a nightmare. Even worse if, like John Baxter, you are Australian and have been raised on good plain tucker ...... and beer. John Baxter is a well-known film critic and book lover and this is his story of how he fell in love with a French lady, married her and moved to Paris. He writes with warmth and humour, describing his new family members so perfectly that you almost feel as though you know them personally. This is not just a memoir, it is a history of food, and especially of French cookery, it's a travel story too. John is educated by his new family and neighbours in the ways of French life, French cooker and French etiquette. In turn he teaches them about spices and pork crackling, risking their sneers by doing things his way. 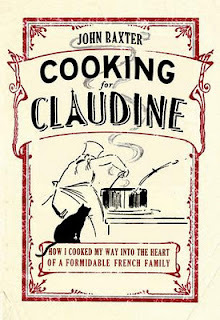 Cooking For Claudine will appeal to foodies, to Francophiles and to memoir fans. John Baxter is an accomplished author, and this is a really enjoyable read with the added bonus of some fabulous black and white line drawings to illustrate the story. Something From Tiffany's by Melissa Hill is an absolute joy to read. 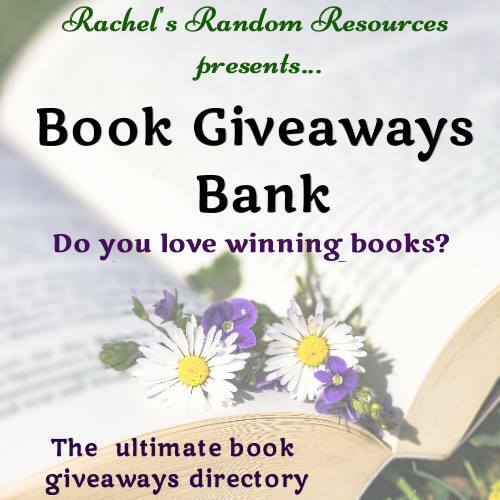 Melissa Hill creates characters that the reader can really relate to - none of them are perfect, they all have their quirks, but they are all great to read about. The story centres on two couples. Both couples are spending Christmas in New York and both of the guys have an iconic blue box from Tiffanys amongst their shopping. When Gary gets knocked down by a yellow cab and Ethan rushes to help him it's plain what is going to happen. One of the Tiffany boxes contained a £20k engagement ring, the other one contains a £150 charm bracelet - duing the chaos of the accident the bags get switched by accident. Imagine the horror when your girlfriend opens a box containing a fairly cheap bracelet instead of an engagement ring, and imagine your joy when you open the present from your usually tightwad boyfriend to find a whopper of a diamond. And so the story takes on twists and turns. Oh I was so frustrated by Ethan at times, yelling at the book 'just bloody tell her!! ', but of course if he had explained to Vanessa that her bracelet was supposed to be a ring, well then the story couldn't be told - and he wouldn't have met Rachel! Melissa Hill spins a tale that hooks the reader from the start, creating great characters and a wonderful setting. From New York to London to Dublin, all described wonderfully and with a real sense of the place. The star of the novel is Daisy; Ethan's 8 year old daughter and the only character who is honest and true to herself, the rest of the cast are great too but Daisy steals the show from beginning to end. 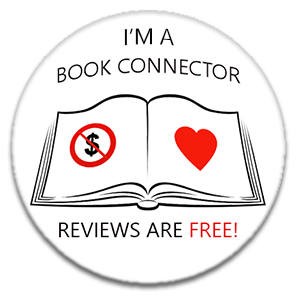 If you want some romance and fun, this is the perfect read. Oh my poor blog has been neglected lately. We've been back from our holiday for over a week but it's been non-stop since we arrived home. 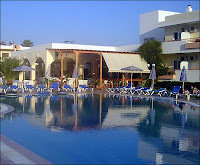 The holiday was wonderful, we went to the island of Kos. 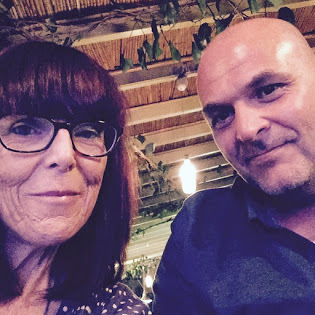 We always holiday in Greece at this time of the year, but usually in the Ionian Islands but we've often had dodgy weather, so this year we decided to go a little further, and we were not disappointed. The weather was gorgeous, with temperatures in the low 30s every day, with a little breeze to cool us off. Of course, I read lots of books whilst we were away, we also saw a lot of the island - it's only small and the local bus service was great, and cheap. 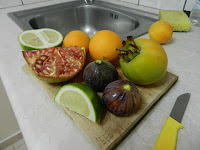 We had a lovely apartment in a gorgeous garden with loads of fruit trees - I picked my own pomegranates, figs, passion fruit, oranges and lemons and enjoyed them so much. So much nicer to eat directly from the tree. We stayed in the Mayflower Apartments in the small town of Tigaki. Tigaki has just enough places to eat and drink, with lots of tourist shops and a beautiful beach that goes on for mile. All in all, it was a fabulous break, I can't wait for our next trip away.